Email music@allsaintsrichmond.org or call 288.7811 to register! 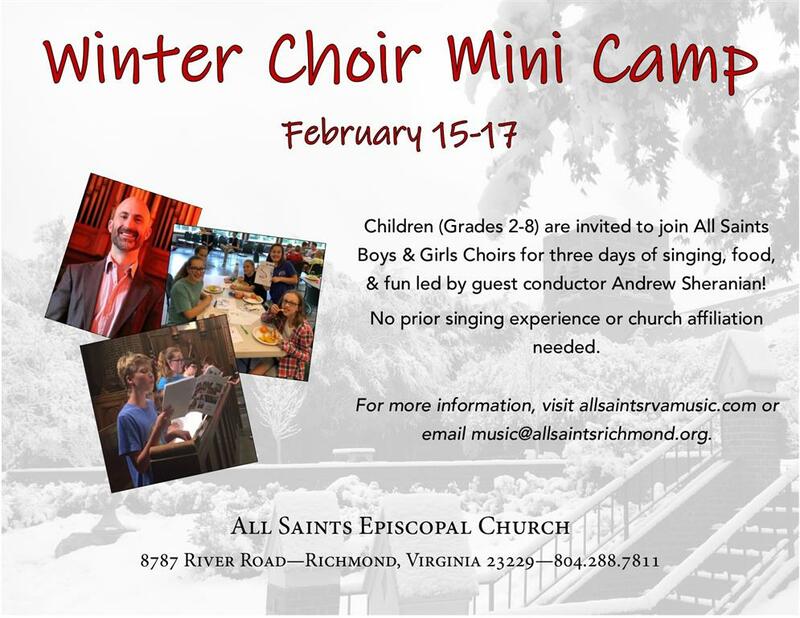 Children (Grades 2-8) are invited to join All Saints Boys & Girls Choirs for three days of singing, food, & fun with guest conductor Andrew Sheranian! 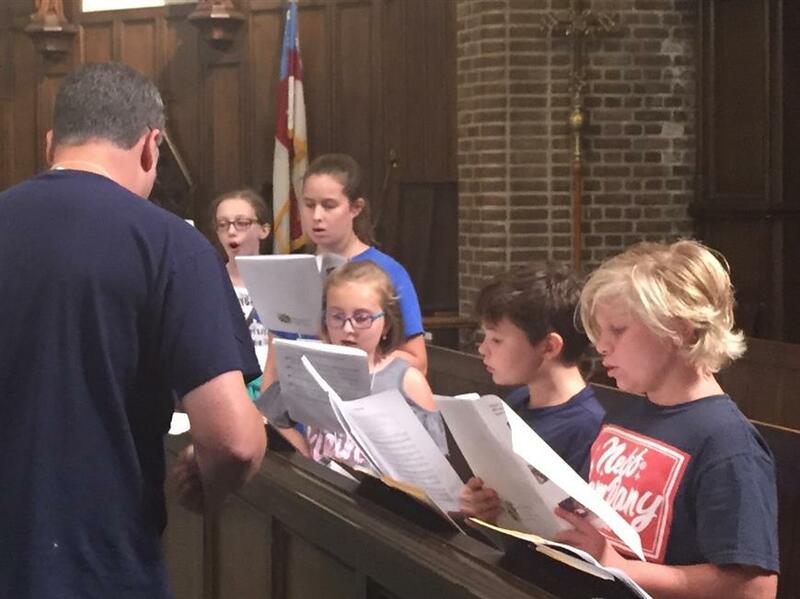 No prior singing experience or affiliation with All Saints is required - just a desire to learn about singing, make new friends, and have fun making music. What is a Choir Mini-Camp? Short-term workshops like this can mean many different things! It's a focused time, that's designed to introduce new ideas, give space for discovery, and have fun doing it. For some, it's a great way to give singing in a serious way a try! Even for some of All Saints Choir Boys & Girls, this will be the first time they've done something like this. For others, it's a great way to hang out and meet new friends. Still for others, it's a way of focusing their energy and learning new skills in music and singing. Who will lead the Mini-Camp? 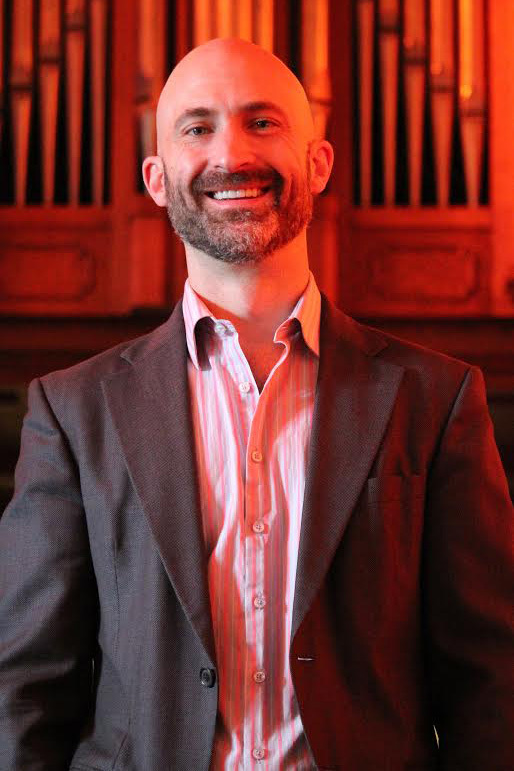 All Saints is proud to sponsor Andrew Sheranian as our guest conductor for the weekend. What is the schedule for the Mini-Camp? 2:00 PM - Watch Collegiate School's production of "Willy Wonka, Jr."
What does the Mini-Camp cost, and how do I register my son or daughter? 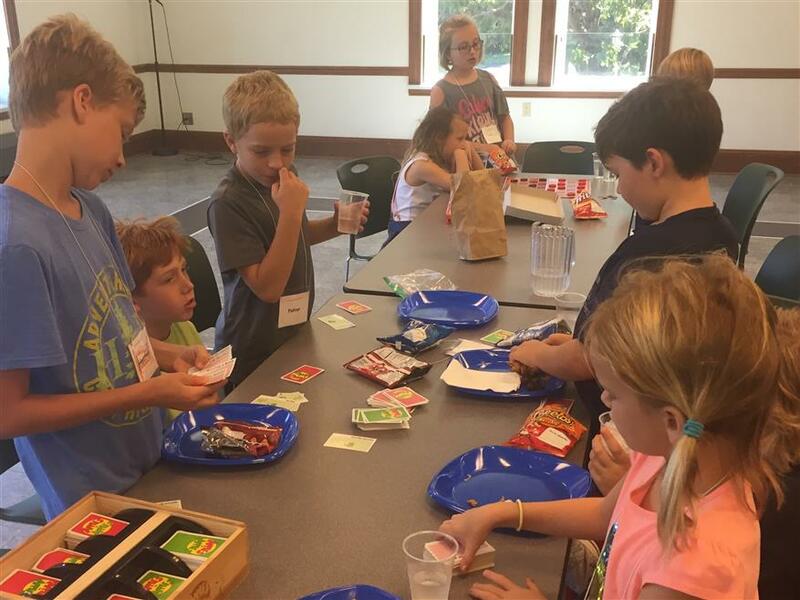 A suggested donation of $25 will cover the cost of food and activities. To register, please contact music@allsaintsrichmond.org or call All Saints Church at 288.7811.